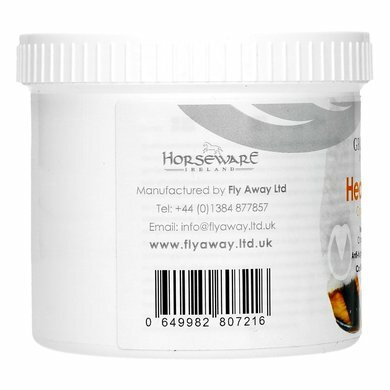 The Illuminate Clear Highlight Face of Groom Away, is part of Horseware. 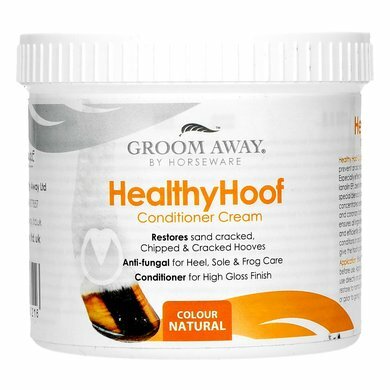 The Healthy Head Conditioner has been developed to prevent and repair cracked hoofs. 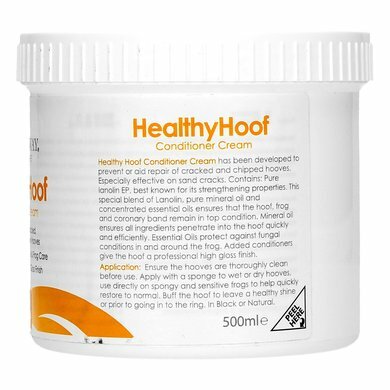 It contains a special blend of pure lanolin EP, known for its enhancing effect. In addition, it has essential oils to provide protection against fungus. Finally with a shiny finish. 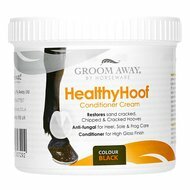 The Healthy Head conditioner is available in black and natural. I found it too little for the price. Had expected the pot would be bigger. I also do not find it easy to smear. 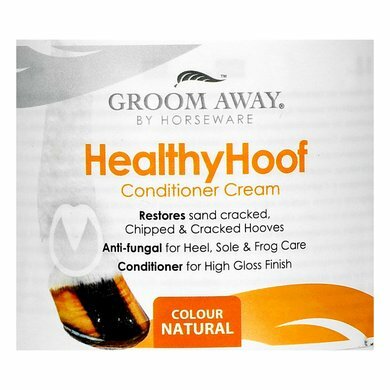 Processes easily, smells nice and looks nicely cared for by my pony.